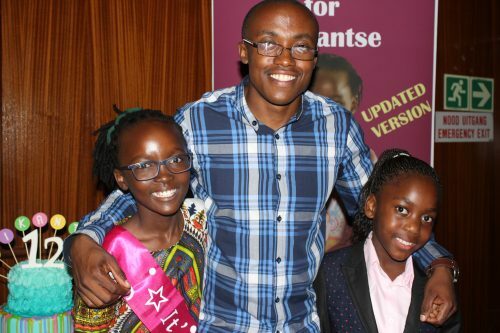 The 12-year-old published author, Reikanste Manaka, launched the updated version of her book, High Ten for Reikantse, at a dual book launch and signing held at the National Museum in Bloemfontein. She was accompanied by fellow-author, 10-year-old Stacey Fru, who was launching her two books, Smelly Cats and Bob and the Snake. Reikantse Manaka has always loved reading. From a young age she would visit libraries with her mother, Matumelo, who would often take books on loan for her. Her parents would often read her bedtime stories and this grew her interest in reading and writing. 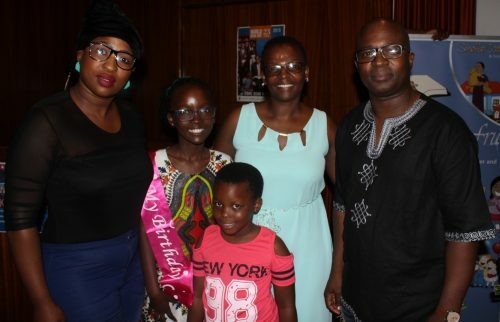 She has been attending school at Eunice Primary school, and while in Grade 1, her teachers realised that she would write more than what was required. When asked to write a paragraph, she would hand in a full page assignment, showing off her natural talent for creative writing. This is when her parents realised that they had to nurture her talent. She started writing her own stories in 2014, and by the end of that year she had written 10 short stories. 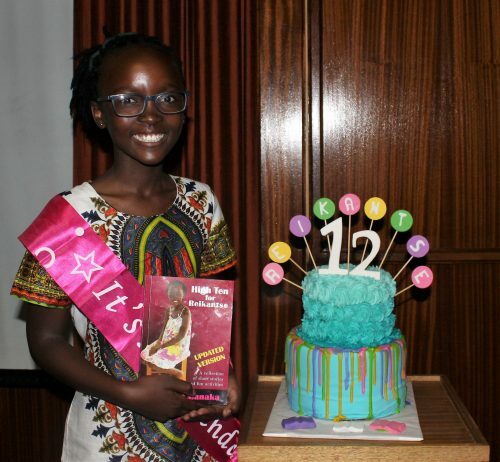 Her book was launched in 2015 and she called it High Ten for Reikantse as she was turning 10 years old at the time. Matumelo Manaka (mother), Teboho Manaka (father) and Rorisang Manaka (sister). At the launch Reikantse thanked her parents for the support they constantly give her in realising her dreams. She encouraged her peers to read more often as this will help them tap into their creative side, helping them to use their imaginations more often. She also thanked Stacey Fru for her support, and for coming all the way from Johannesburg for the dual launch. the girls a few words of encouragement at the launch of their books. Stacey Fru’s love for reading has led to her being the youngest multiple award winning writer on the continent. Smelly Cats was the prize winner for the ‘Best Early Childhood Development (ECD) Publication 2015: Special Mention Category United Nations Children’s Fund (Unicef) Awards. Mofolo Mohapi, from the office of the MEC of Education, said that as an author himself, he was very proud to see such young talent doing big things in the literature world. He said the department is always looking for relevant books to add to the curriculum so that they can be recommended for schools and that this was a great start. 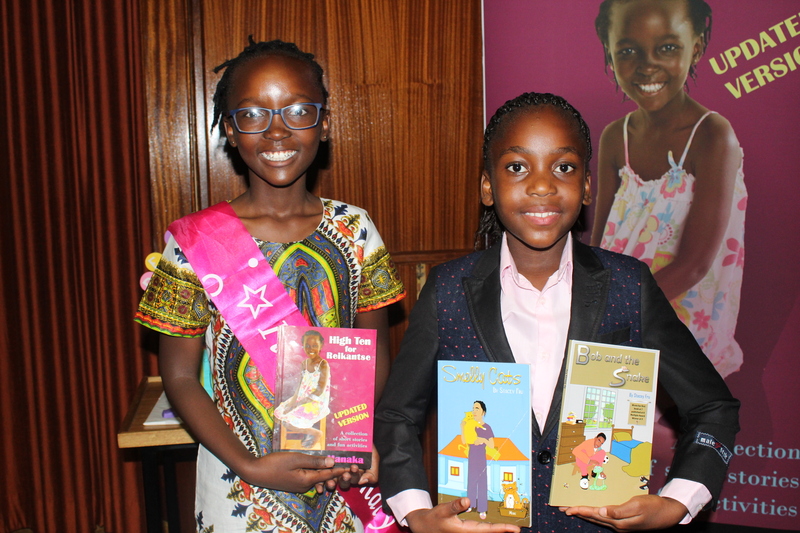 Henna Adendorff, form the Department of Sports, Arts, Culture and Recreation – Library Services, said that they couldn’t wait to fill the 181 public libraries in the province with the young girl’s books. Adendorff said that it is vital to have such young authors writing for their peers as adults don’t often fully understand how a child’s mind works.